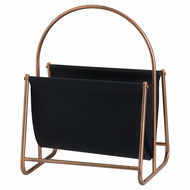 Wine and other spirits can travel in style with the Willow 4 Bottle Wine Carrier. 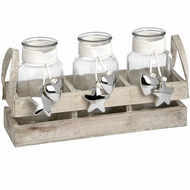 This light brown wicker holder has four compartments that keeps bottles firmly in place. 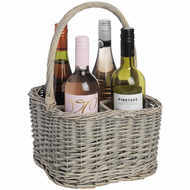 The square base and long wicker handle make for an ideal way to transport wine and other bottled beverages to parties, picnics, or intimate events where good cheer is the theme.